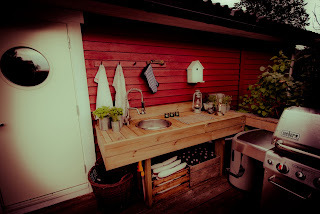 One of this years summer projects was to "fix" a summer kitchen. 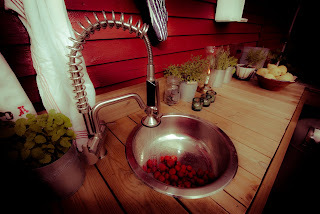 With some of the wood we had left from the front porch and some creative shopping in Ikea (we got the sink for 99 SEK and our favorite tap called Hjuvik for half the price) we got this little beauty up and running in a day. 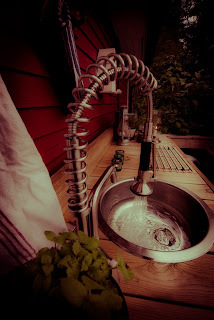 We decided to hook up the tap to the outdoors summer water, so it is easy to disassemble in the winter and take the tap inside (not sure if the sink will stay outside) and with some creative connections, we transferred the 3/8" or R10 into a R15 connection that is safely secured to the summer waterhose (thanks to the nice lady at Bauhaus who helped us with this puzzle). 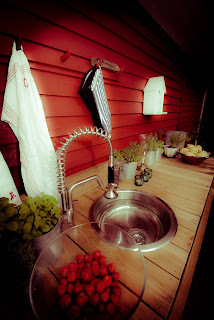 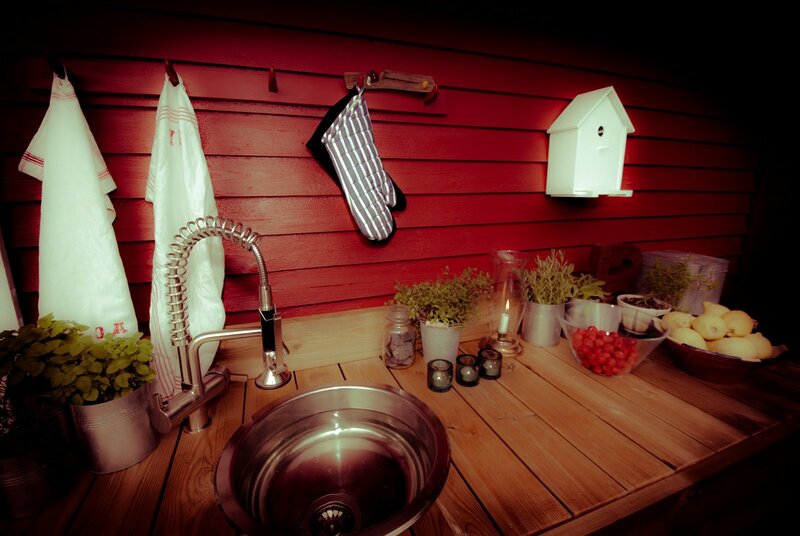 Cleaning fresh strawberries under the running water outside is a real treat and having an outdoor kitchen is much more as just a gimmick and really increases the outdoor experience. Some leftover wood and screws and a sunny afternoon.